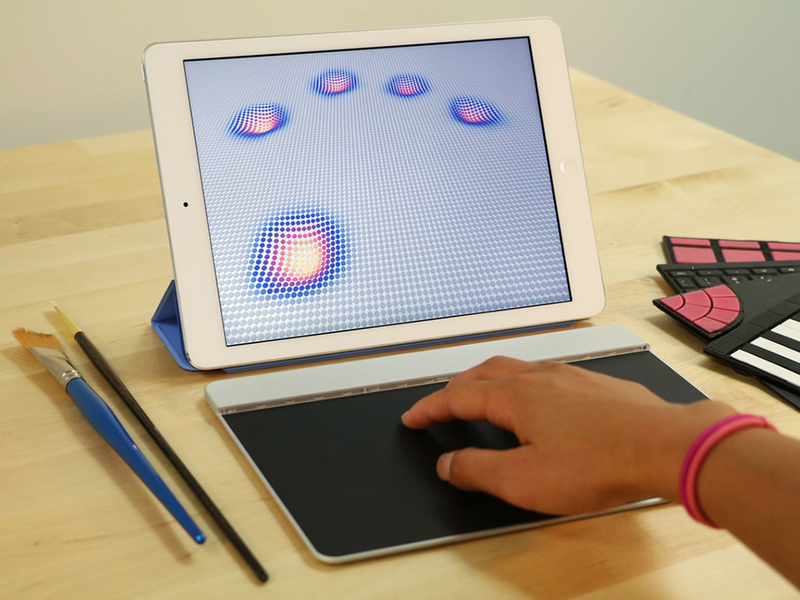 A pressure-sensitive multi-touchpad. 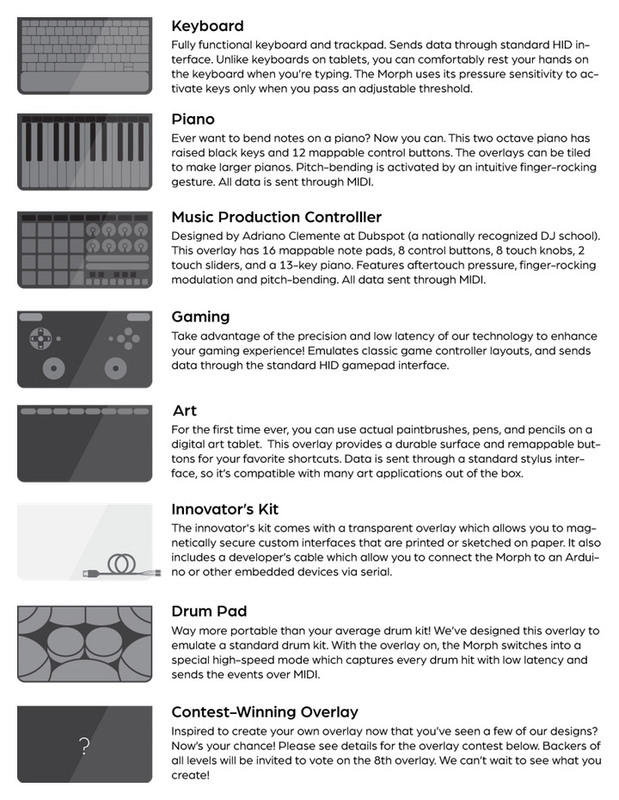 Using a variety of overlays you can turn Morph into a keyboard, a graphics tablet, a music controller and more. When it launches you’ll be able to design ready-to-print custom overlays.